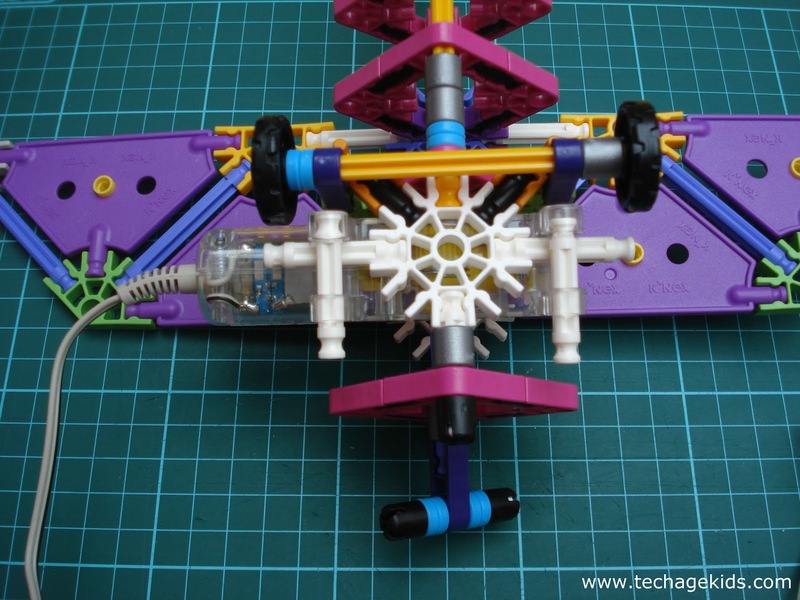 K'Nex Mighty Makers is a range of construction building sets aimed at girls aged 7+. Mighty Makers features a range of female characters who are interested in engineering and design. Each set includes one or more doll figures plus a main model to build and some smaller additional models that can be built from the same pieces. I've tried out one of the sets with my 7 year old son who loves 'girl stuff' as well as 'boy stuff'. 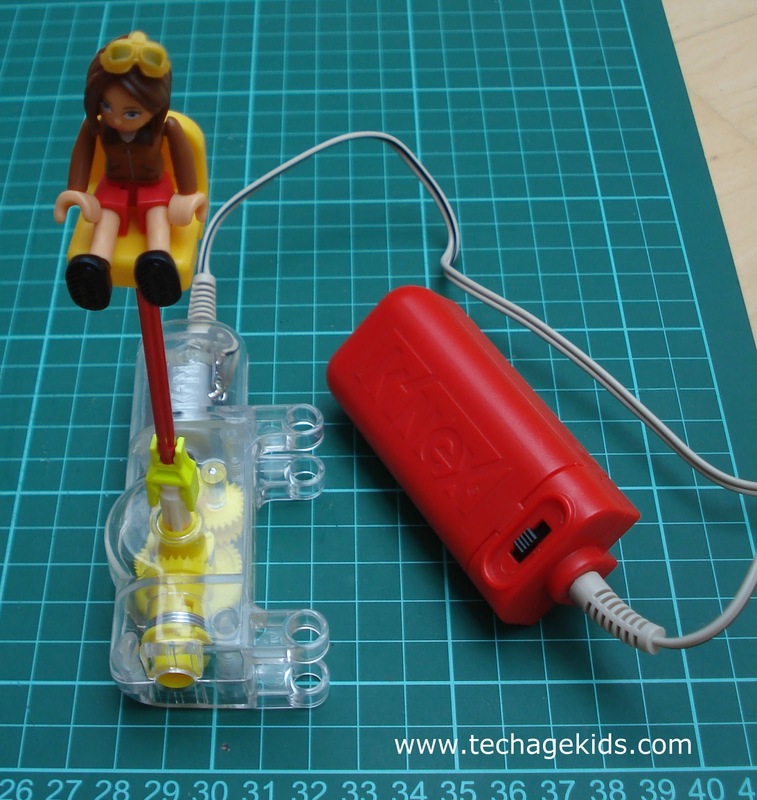 I've written previously on the topic of 'Do girl and boys need different tech toys' - basically we'd prefer that all toys for younger children are seen as suitable for all, but acknowledge that girls need a bit of extra encouragement around STEM subjects at the moment. 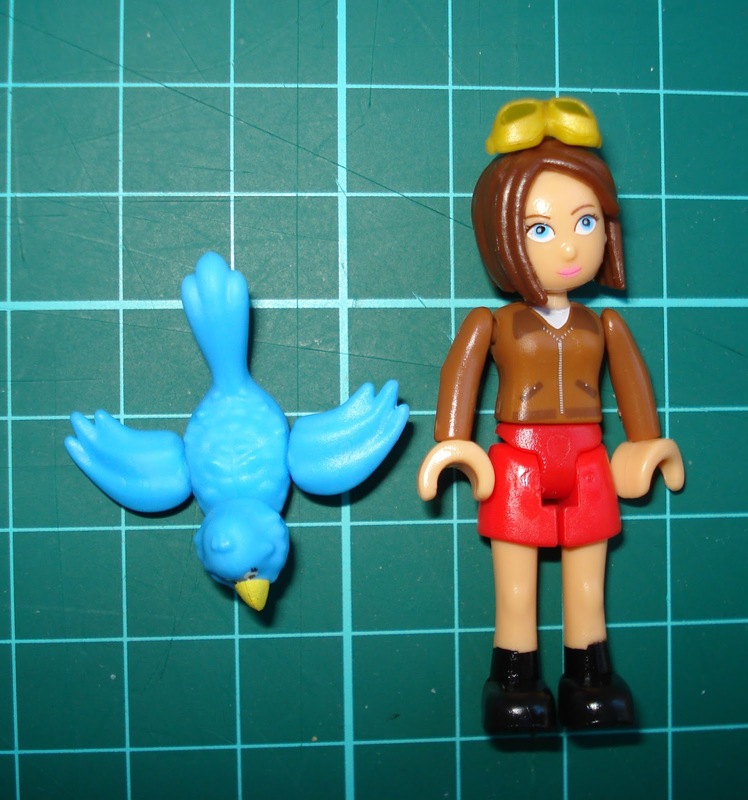 We got the Up, Up and Away Building Set which features Ava who wants to be an aviator (see what they did there), her plane and her blue bird, Jay. 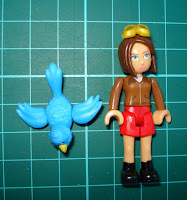 My son has other K'Nex sets which he enjoys, but he was immediately drawn to the figure and the bird in this set. He really liked having characters with the set and started interacting with them immediately. The doll is really nicely detailed and looks like a proper child. The legs did have a tendency to pop off when repositioned her, but he just popped them back on each time. The colours of the set are really nice. Yes there's some pink in there, but there's also a range of other colours. My son likes that the propeller spins around. He didn't like that there doesn't seem to be anywhere to attach Jay (the bird) on to the plane - the bird has a hole in, but there doesn't seem to be anything in the set that it fits on to. We did discover that he pops onto a rod from the smaller K'Nex range though so it's possible to attach him on if you have other sets. He commented that he's not really interested in planes but he does like this one because of the character, the way it looks and the stars that are used to decorate it. Another nice touch is that there was a reward sticker included in the set linked to the theme of aviation. Once he had played with the plane for a bit he was really keen to build the butterfly and wanted to know if there was a way for Ava to hold on to it and fly. He quickly spotted that Ava's chair could be attached to the butterfly. He asked about other sets in the range and loves the Inventor's Clubhouse which includes a pulley lift and a zip wire as well as a vehicle with a real K'Nex motor. An obvious thing to want to do with this set is make the propeller spin. 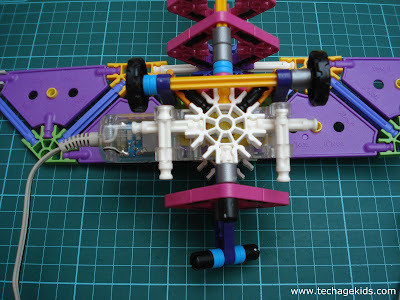 We grabbed a motor from another K'Nex set that we already had and rigged something up. Not perfect but it did the job. We had to move Ava from her usual spot to put the motor in. While doing this we noticed that her seat can connect to the smaller sized K'Nex which we have lots of. So Ava, but that's just asking to be put on a K'Nex motor and spun around! Once we discovered that Jay also fits on the smaller K'Nex rods he had to go for a spin too! Then my son was off, constructing models that allowed both figures to spin around. I really like Mighty Makers. It's the kind of toy I would have loved as a girl and it really appeals to my science-loving son. I'd prefer to see a range of toys that are marketed to all children so they can choose which ones appeal to them. It's important for boys to see girls in technical roles as completely normal. But this is a fantastic toy and a great additional to our list of Science and Engineering toys for girls.